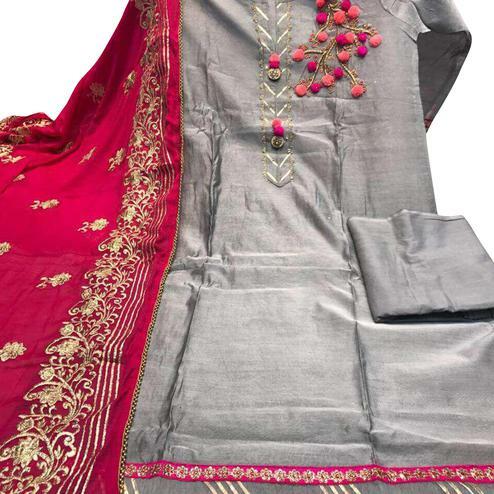 Peachmode has an exhaustive range of grey salwar kameez for women. 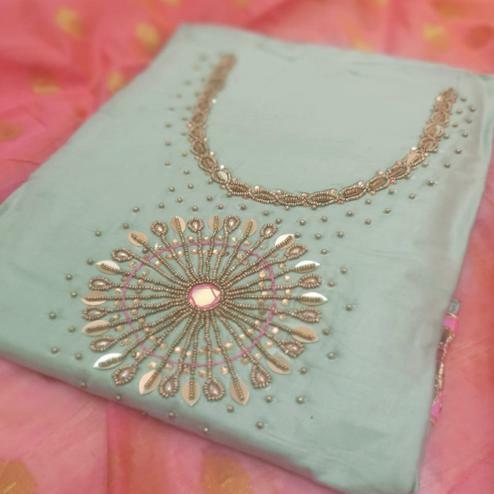 These come in semi stitched or unstitched options so that you can customize them to your taste. Done in versatility, these designs beautifully fit in any style and exude elegance with elan. Finding its origin in the spectrum of black and white, the color grey is subtle and is an excellent choice in formal wear. Due to the simplicity that this color carries, lot of people find grey to be a very calming and classy color. 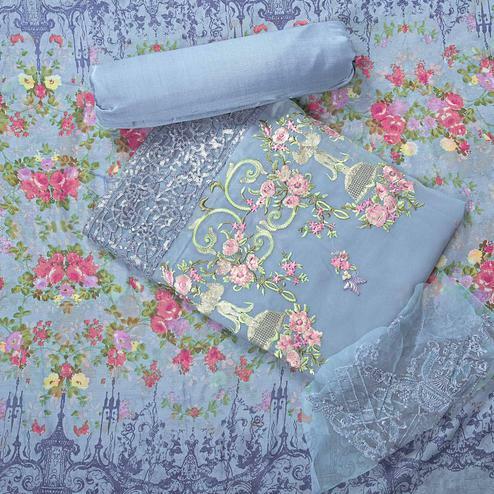 Our collection of grey salwar kameez is finely curated in classic fabrics like leon. 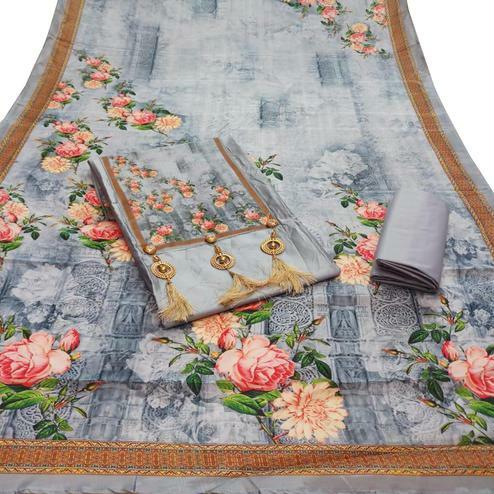 Chanderi, Chanderi silk, Banarasi silk, georgette, faux georgette, crepe, silk, net, satin and numerous other comfortable and fine fabrics. All of our fabrics are approved only after they pass our quality check tests so that only the best of products are brought your way. The grey suit designs come in artful patterns. 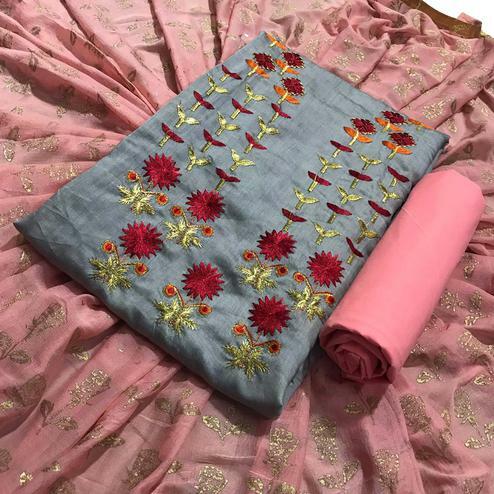 Printed, embroidery, floral embroidery, zari matt gold, sequin work and various other creative designs in these suits are definitely what you want next on your shopping list. 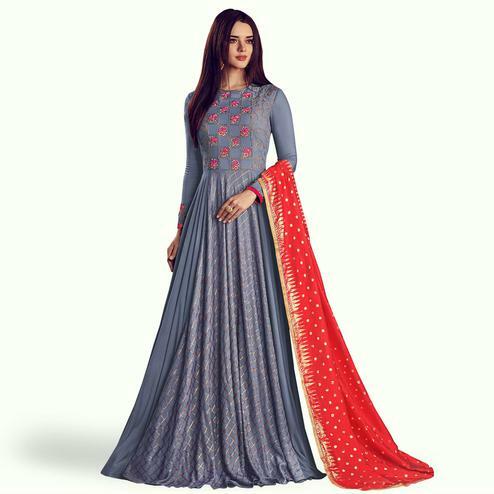 Grey color palazzo suits are very much in and at Peachmode, you’ll find a very vivid range of these in semi stitched and unstitched styles so that you are free to customize them to your comfort. 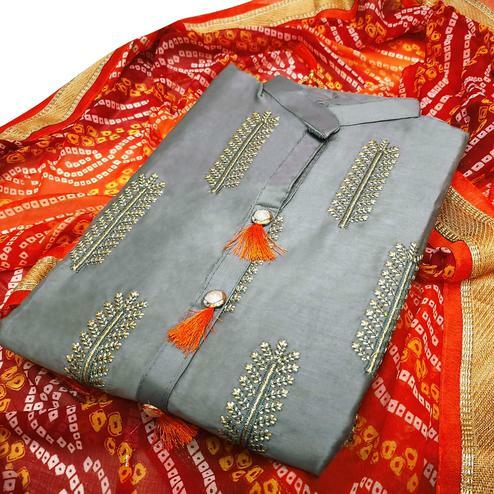 We also offer an attractive collection of grey color Patiala suits to give you that peppy Punjabi feel. Grey color pairs wonderfully with almost all color pallets. Pink, orange, beige, red, white, blue, peach are some of our favourite combination colors with grey. 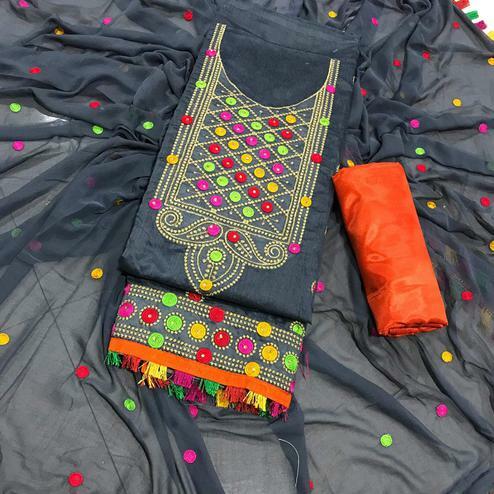 You can also check out our other range of ethnic wear in grey exclusively on Peachmode. Do look out for the attractive discount offers, you don’t want to miss out on them.